bright round sun that Mrs.
Let the Poems Begin!, and A Millennial Sampler of South Carolina Poetry (2005). 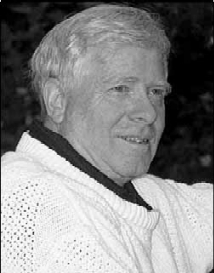 Gene Fehler (1940 - 2013) published more than eighteen hundred poems, stories and articles—many of them about baseball. A book collector and avid sportsman, Gene grew up in Illinois and taught English and creative writing for nearly 30 years. In retirement, he moved to South Carolina, where he continued teaching in writing workshops and serving as a poet/writing-in-residence. Like the line breaks, although even if the lines went all across the page I'd still like them. great start to my day. "in spite of the smile" saves two stanzas. excellent poem. Gene Fehler's poetic touch has only grown more sure and more enticing over the years. I love the ending! And the poem is well constructed!